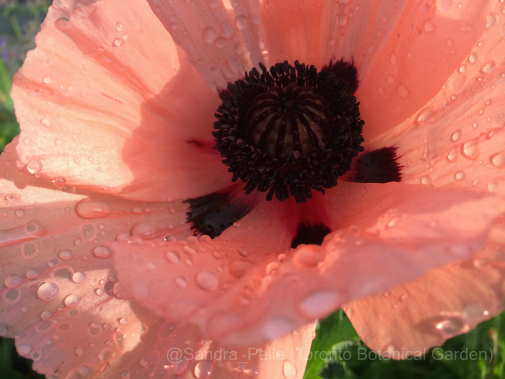 The garden is lush and full from regular weekly rainfall, with coneflowers in bloom throughout. 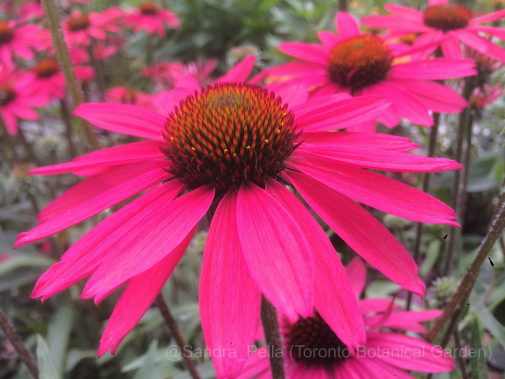 In the Entry Garden, Echinacea purpurea ‘Rubinstern’ Ruby Star (purple coneflower) are planted en masse. 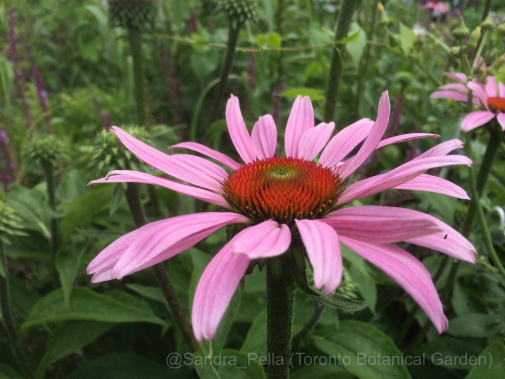 In the Show Garden, planted in 2013, are a group of coneflowers from Terra Nova, including Echinacea ‘Glowing Dream’ (Dream Series) (coneflower) with watermelon-pink petals. 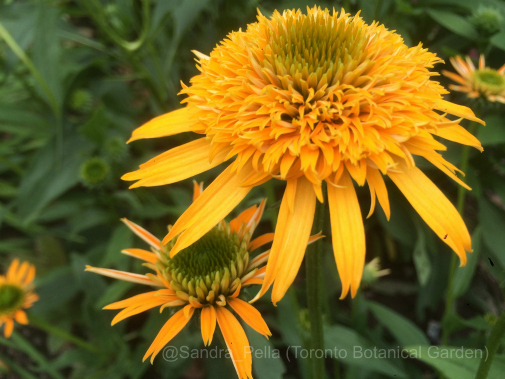 Another selection from the Show Garden, Echinacea ‘Secret Glow’ (Secret Series) (coneflower) from Terra Nova, produces large double blooms. 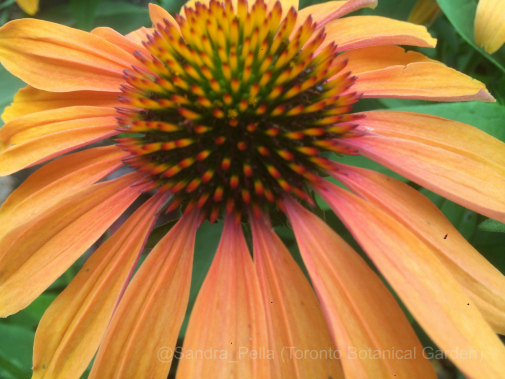 Echinacea ‘Tangerine Dream’ (Dream Series) (coneflower), from Terra Nova is planted in the Show Garden. 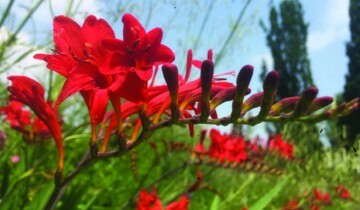 Flowers are orange, which I love! Can’t get enough. In the Show Garden there many more! 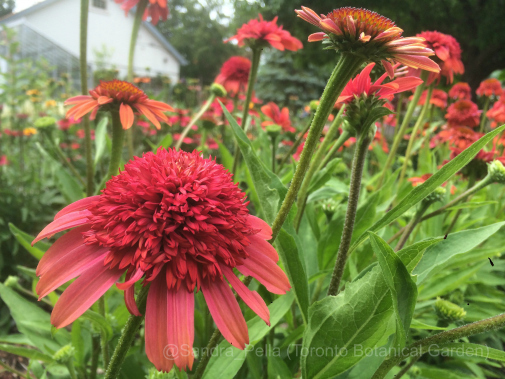 Echinacea ‘Meteor Red’ (Meteor Series) (coneflower) boasts double red flowers. 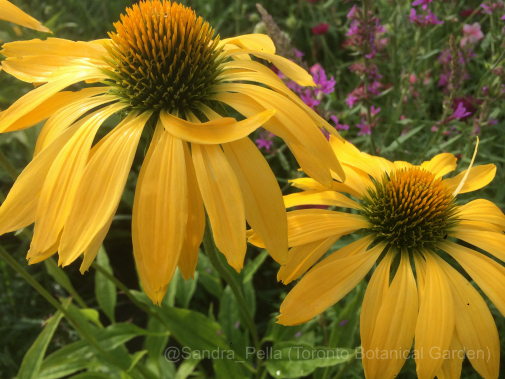 In the Entry Garden, planted in spring 2014, Echinacea ‘Leilani’ (coneflower) is another great selection from Terra Nova with clear yellow flowers. 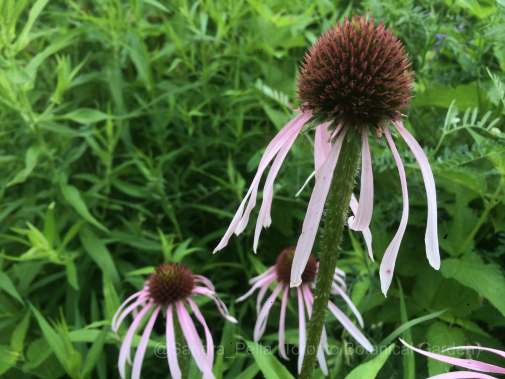 Echinacea pallida (pale purple coneflower) has naturalized in the Woodland Walk. 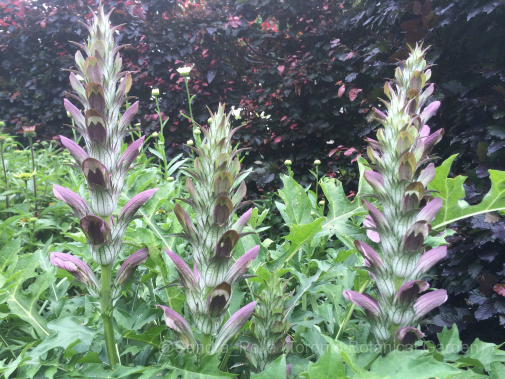 Blooming right alongside Echinacea purpurea ‘White Swan’ (purple coneflower) (not shown) is Acanthus hungaricus (bear’s breeches) with upright flower spikes. 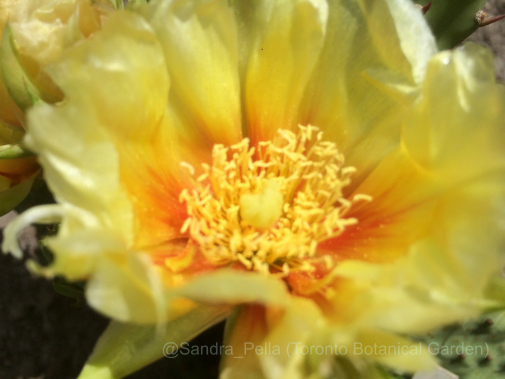 Tough as nails, Opuntia humifusa (Eastern prickly pear) survived this past winter and has been in bloom for several weeks in the Terrace Garden.